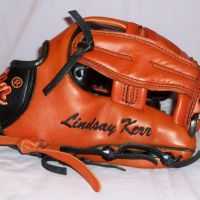 WWW.GLOVE-WORKS.COM BASEBALL GLOVE COLLECTOR FORUM • View topic - 44 Professional Gloves? Post subject: 44 Professional Gloves? I have two people on my team with one of these, has anyone here ever heard of them? I've tried them on and they feel pretty nice, probably a steal for $150. What are your initial impressions? I'm considering buying one for the infield, but I was hoping to get a little insight from all you knowledgable people here! Thanks. Post subject: Re: 44 Professional Gloves? They look very similar to Rolin. I wouldn't be surprised if they were made in the same factory. Whenever a post like this comes up mentioning a new glove company that no one has heard of before, there are always a couple of guys on the poster's team that have one. 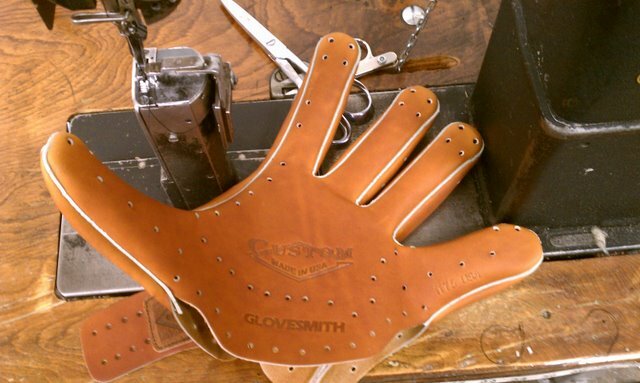 Are the gloves made in your hometown? How did these guys hear of them? If you have examined them first hand, what is your review? It does seem that all the Mexican companies have the exact same patterns and materials. Then again, the same can be said of the Taiwanese manufacturers. There are a number of videos on youtube about them. If you compare the single posts from the website to the one in my avatar, you can see where i got it from. Rolin quality has come a long way over the past few years. This is a great compliment to Rolin that another company would make exact copies of Rolin patterns, webs, embrodiery font, batting gloves, etc. and manufacture the gloves in the USA! !